At the recent Final Fantasy XIV Fan Festival in London, producer and director of Final Fantasy XIV: A Realm Reborn Naoki Yoshida gave hungry fans some delicious new details on the game’s upcoming expansion, Heavensward. Of particular note were the introduction of a new Dark Knight job class and fancy new flying mounts. Wearing a Batman shirt, Yoshida, otherwise known as Yoshi-P, detailed the new Dark Knight job class. Without requiring a base class, the Dark Knight class will be accessible from the get go to owners of Heavensward and will allow players to wield two-handed greatswords and harness Darkness powers. A popular role in other Final Fantasy games, the Dark Knight has changed its formula up for Heavensward, taking on a tank-role rather than its more traditional damage-dealing role. 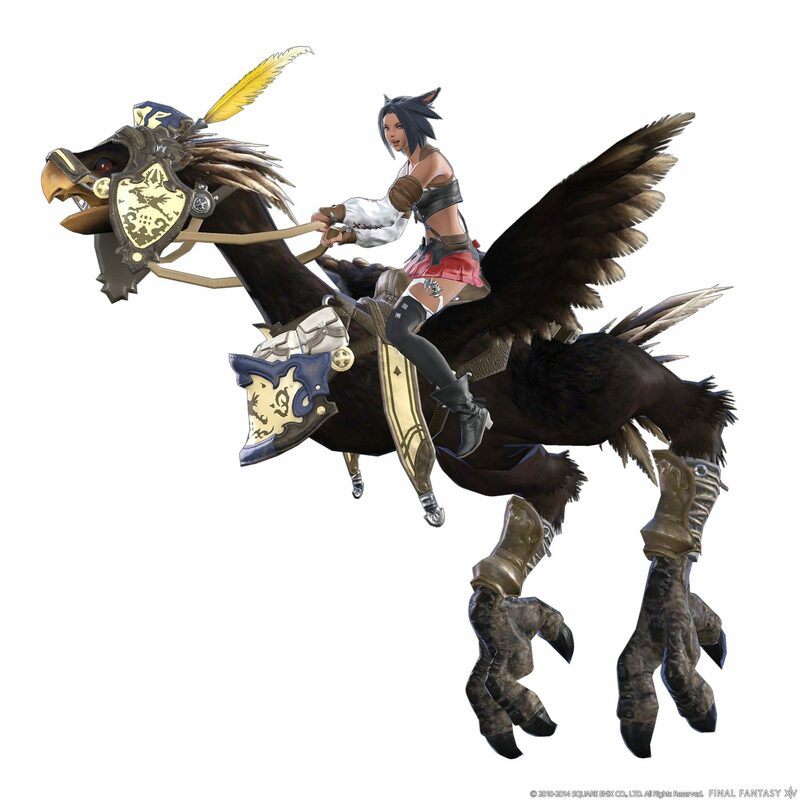 A number of new flying mounts will also become available, the first of which is a cute looking black Chocobo (pictured above). A total of six of them are being developed, with a seventh apparently hinging on fan reception. Airships will also be introduced, which allow individual players to fly around as they please without worrying about having a party. Two new beast tribes will be introduced as well: the Vanu Vanu and the Gnath, along with their primals, Bismark and Ravana. More details on Final Fantasy XIV: Heavensward will be revealed at the next Fan Festival, which will take place in Tokyo on December 20 and 21.